Will Luka Modric leave Real Madrid this summer? After talisman Cristiano Ronaldo’s stunning move to Juventus, one can’t take other speculations relating to Real Madrid casually anymore. This isn’t a good time to be a Los Blancos fan as another of their favourites is reportedly being linked with a move away from Santiago Bernabeu. The player we are talking about is ace midfielder Luka Modric. According to reports, Modric, the 2018 World Cup Golden Ball winner, is making a higher wage demand and should the Real Madrid hierarchy fail to meet that, he could join Seria A club Inter Milan by the end of the month. Mateo Kovacic, his compatriot and possible successor at the Spanish club, is also making a loan move to Chelsea which leaves a gaping hole to be filled at the heart of Real Madrid’s midfield. However, there are a few options that Julen Lopetegui could be looking into in case the midfielder decides to leave. Let’s have a look at three such players who could potentially replace the Croatian. 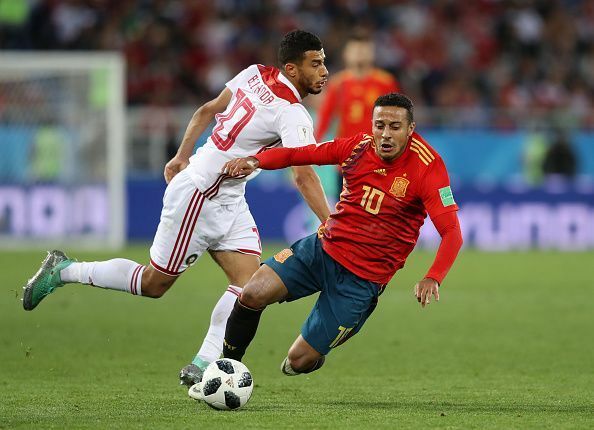 Thiago, who currently plies his trade at German club Bayern Munich, is a creative midfielder with excellent dribbling skills and ball control. Developed at Barcelona’s youth academy, the Spanish international has the brain and understanding to be one step ahead of most people. He had a rather ordinary season last term but there is no doubting his talent. And what works in his favour is that Julen Lopetegui knows him inside out, having already managed him for Spain’s national team. Both enjoy a good relationship as the former Spain boss has gone on to praise the midfielder on multiple occasions. The 27-year-old too is reportedly seeking a move out of Bundesliga, and with Lopetegui’s guidance, he could prove to be an ideal replacement for Luka Modric. 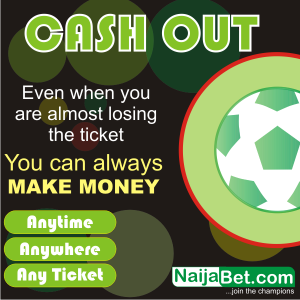 The Frenchman’s impressive run in the recently concluded World Cup has only seen his stocks rise to a new high. So much so, that many European clubs, who wouldn’t perhaps bid for the midfielder owing to his inconsistent form last season, are now lining up to acquire his services including Real Madrid’s rival Barcelona. 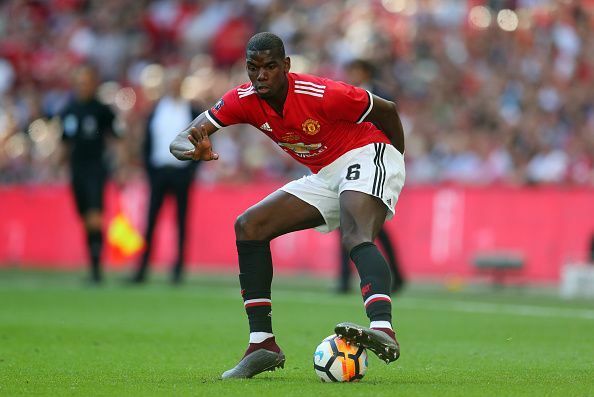 Although Pogba doesn’t seem the most ideal replacement of Modric, he could prove to be one, considering he would have a lot more freedom in the middle of the park playing for the Los Blancos as opposed to at Manchester United. Florentino Perez, the Real Madrid president admires the midfielder and had tried unsuccessfully to bring him to the Bernabeu in the past. Also the 25-year-old is reportedly unhappy at the Premier League outfit and considering a move away from the club. However, with the transfer deadline looming, the prospect of signing Pogba seems implausible at this juncture. 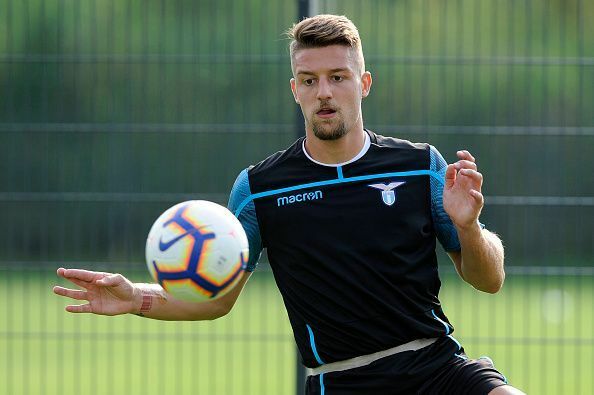 Milinkovic-Savic has been one of the stand-out performers for the Italian club Lazio since arriving from Genk in 2015. The Serbian international scored 12 goals in 35 appearances in Serie A last season before featuring in all the three World Cup games for his country. Little wonder he has been the cynosure of many big European clubs lately. At 23, he is yet to hit his peak and could be a long-term prospect for Real Madrid, should they decide to bring him to the Bernabeu. However, his current employers value him very highly as his release clause stands at a whopping €100 million which could be a stumbling block with regard to a potential move to the Spanish capital.